Events listed on this calendar by no means represent all activities going on in FRUA INC chapters, nor are listed events necessarily sponsored by FRUA. To submit your event information for posting on this site, e-mail details to: Education@frua.org. This calendar will be updated monthly by site volunteers so plan plenty of lead time if you have an event you would like posted. The day was officially declared in 1990 in Serock, Poland, the site of the fourth World Romani Congressof the International Romani Union (IRU), in honour of the first major international meeting of Romani representatives, 7-12 of April 1971 in Chelsfield near London. In 2009,U.S. Secretary of State Hillary Rodham Clinton spoke of the U.S. commitment to protecting and promoting the human rights of Romani people throughout Europe. The Roma have contributed elements of their rich culture and traditions to European society for centuries. International Roma Day on April 8 is an annual opportunity to celebrate the Roma – Europe’s largest ethnic minority group. It is also a time to reflect on the discrimination and challenges millions of Roma continue to face in their daily lives in areas including education, employment, housing, healthcare and policing. The OSCE works to combat the exclusion and isolation of Roma throughout Europe and also places importance on supporting Roma so they themselves can become agents for change. Greater efforts are needed to train police officers to properly identify and investigate hate crimes, including against Roma, as well as to sensitize them to the threats and difficulties faced by Roma communities. Living throughout Europe, Roma and Sinti communities are among the continent's most vulnerable minority groups. Historically marginalized, they suffer widespread abuse and discrimination, often at the hands of the authorities, including the police. The OSCE - through co-operation between its Office for Democratic Institutions and Human Rights (ODIHR) and Strategic Police Matters Unit (SPMU) - has been taking steps to help put an end to such abuse by building trust and understanding between Roma and Sinti communities and the police forces that serve them. Twenty experts from law enforcement agencies and Roma civil society met in Warsaw on International Roma Day 2014 to share good practices in policing at the local level. In particular, participants focused on practical applications of the Police and Roma and Sinti: Good Practices in Building Trust and Understanding handbook, which was published by ODIHR and the SPMU in 2010. In the Action Plan on Improving the Situation of Roma and Sinti in the OSCE Area, adopted in 2003, ODIHR, the SPMU and the Office of the OSCE High Commissioner on National Minorities (HCNM) are mandated to assist OSCE participating States in developing programmes and confidence-building measures to improve relations and co-operation between Roma and Sinti communities and the police. In March 2014, OSCE Mission to Bosnia and Herzegovina supported World Vision to produce the "Face of Roma in Bosnia and Herzegovina" street campaign where Roma people, both adults and children, were asked about their lives, their thoughts, their wishes and their dreams, to raise awareness of the challenges facing Roma on daily basis. Commemoration of the April 9 tragedy 1989(also known as Tbilisi Massacre, Tbilisi tragedy) when on Rustaveli Avenue, inTbilisi an anti-Soviet demonstration was dispersed by the Soviet Army, resulting in 20 deaths and hundreds of injuries. Easter is a moveable feast, meaning it is not fixed in relation to the civil calendar. The First Council of Nicaea (325) established the date of Easter as the first Sunday after the full moon (the Paschal Full Moon) following the March equinox. Ecclesiastically, the equinox is reckoned to be on 21 March (although the astronomical equinox occurs on 20 March in most years), and the "Full Moon" is not necessarily on the astronomically correct date. The date of Easter therefore varies from 22 March to 25 April inclusive. Eastern Christianity bases its calculations on the Julian calendar, whose 21 March corresponds, during the 21st century, to 3 April in the Gregorian calendar, and in which therefore the celebration of Easter varies between 4 April and 8 May. Easter is linked to the Jewish Passover by much of its symbolism, as well as by its position in the calendar. In many languages, the words for "Easter" and "Passover" are identical or very similar. Easter customs vary across the Christian world, and include sunrise services, exclaiming the Paschal greeting, clipping the church and decorating Easter eggs, a symbol of the empty tomb. Easter is a Christian holiday that celebrates the central event of the Christian faith: the resurrection of JesusChrist three days after his death by crucifixion. The resurrection of Jesus Christ is the centerpiece of the Christian faith, according to the Apostle Paul, who even says that if Jesus Christ has not been resurrected then the Christian faith is worthless and futile (1 Cor. 15:14-17). Therefore, without Easter there is no Christianity. Easter is the oldest Christian holiday and the most important day of the church year. All the Christian movable feasts and the entire liturgical year of worship are arranged around Easter. Easter is preceded by the season of Lent, a 40-day period of fasting and repentence culminating in Holy Week, and followed by a 50-day Easter Season that stretches from Easter to Pentecost. 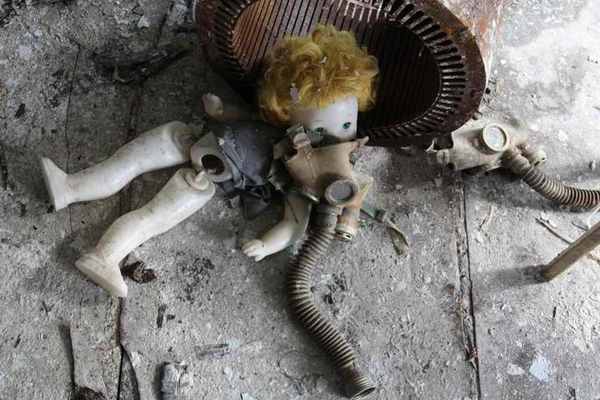 It's early morning on April 26 in Kiev, Ukraine, where the Chernobyl nuclear disaster happened. On this day in 1986, reactor number four at the plant exploded, setting off a catastrophe that still reverberates far beyond the 30-kilometer exclusion zone. Demonstrations mark the occasion and its parallel to the still-unfolding disaster at Fukushima. The "liquidators" who were sent in to clean up the radioactive mess at Chernobyl back in 1986 received medals from Russian president Dmitry Medvedev, but controversy still surrounds the health impact of the dangerous work they performed. The so-called "sarcophagus" surrounding the disaster site in Kiev is leaking, and world leaders have pledged "to provide $780 million for the construction of a shelter designed to house the toxic remains for another century." But even if and when that new container is finally in place, the radioactive mess will remain active—and hazardous—for many thousands of years more. Paskha is the highest celebration of the Orthodox Church. At midnight the church service starts. It is a good time for visiting friends and relatives. People greet each other with words "Christ is risen" and "Indeed risen..." and treat each other with brightly colored boiled eggs, a symbol of Easter. The holiday table is served with such specialties as paskha (rich mixture of sweetened curds, butter and raisins) and kulich (Easter sweet bread). The next holiday is Easter, the Resurrection of Christ. Easter is the main festival of the Christian Church. In the Easter rites, one can easily detect echoes of ancient festivals of cattle breeders and tillers of the soil, who sacrificed the fruits of their labour to the gods. 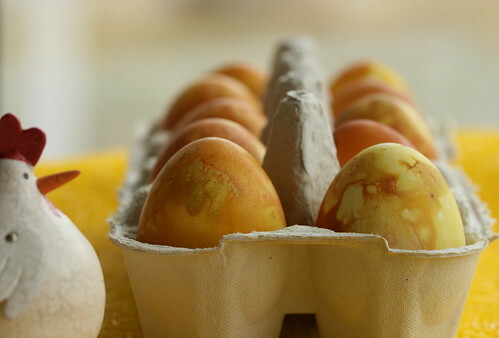 In the Orthodox Church, Easter is always celebrated on a Sunday, the first Sunday after the first full moon following March 21, the spring equinox. People prepared for Easter by adorning their homes, baking kulich cakes, making a paskha out of cottage cheese, and painting as many as hundreds of eggs, which were divided equally between the members of the family. They greeted relatives and friends by kissing them three times and saying “Christ is Risen!” It was a custom of Easter to visit cemeteries and leave painted eggs and a little bread and beer on the graves of dear departed ones. In Bulgarian Orthodox Church tradition, the Lenten fast begins on Zagovezni, the Sunday six weeks before Easter. For the 46 days of Lent, church members abstain from all animal and fish products and byproducts, that means butter, cheese, milk, and caviar, if you can afford it! While not a morsel is eaten before Easter Sunday, yeast-raised cakes and buns in animal shapes, and cookie rabbits and flowers are baked during Holy Week. The most important ritual bread is the braided kozunak. On Easter Sunday, after 46 days of fast and abstinence, a feast of all the prohibited food is laid on the table, with the kozunak, symbolizing the body of Christ, taking center stage. Lamb, representing the Paschal Lamb, is always served. Superstitions: It is believed if one hears a cuckoo midway during Lent, spring is coming. Likewise, if one has money in his pocket at the sound of the cuckoo, he will be rich in the coming year, but if one has no money or is hungry, then that will likely be how the rest of the year will play out.